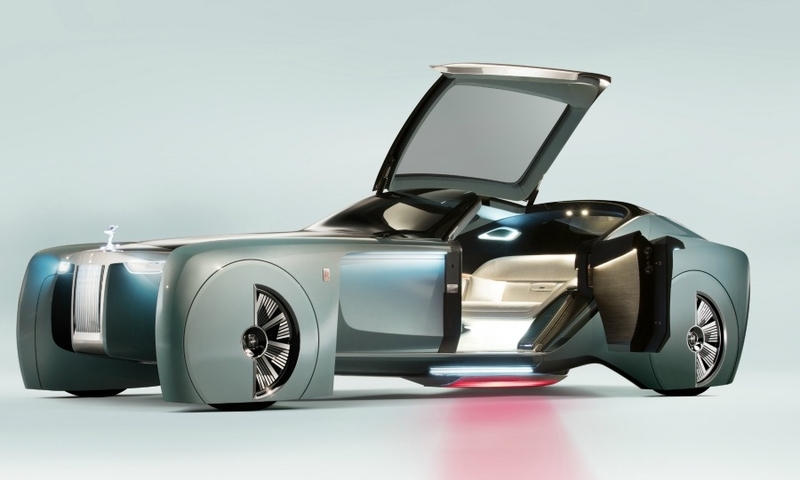 Rolls-Royce has presented an insight into the future of luxury, autonomous mobility with its Vision Next 100 concept. 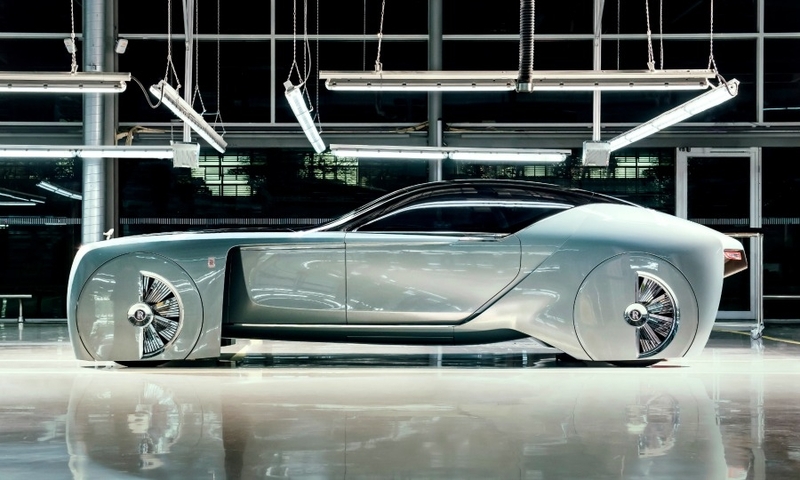 Rolls-Royce’s Vision Next 100 is a nearly 6096mm (240 inch) long, 1524mm (60 inch) tall, fully autonomous coupe with the physical presence of a super yacht is meant to embody the brand's goals for the next 100 years. 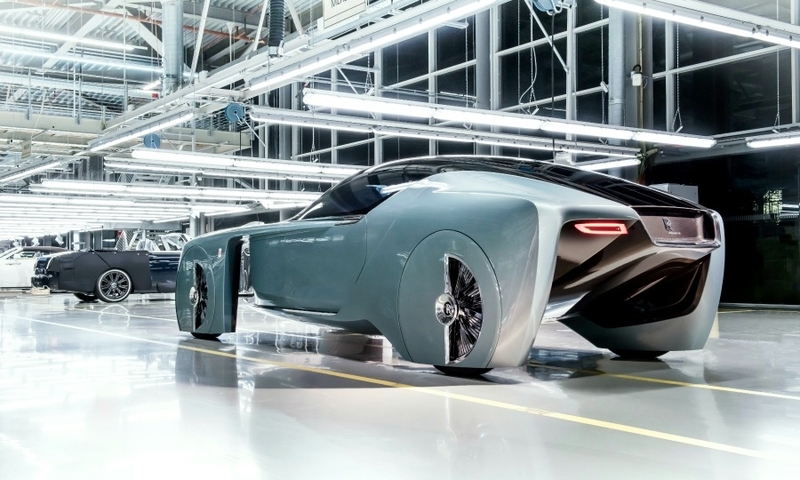 The concept arrives at the end of production of the seventh-generation Phantom and is part of a series of concept vehicles BMW Group developed to celebrate its centenary in 2016 and herald its next century of design and technology. 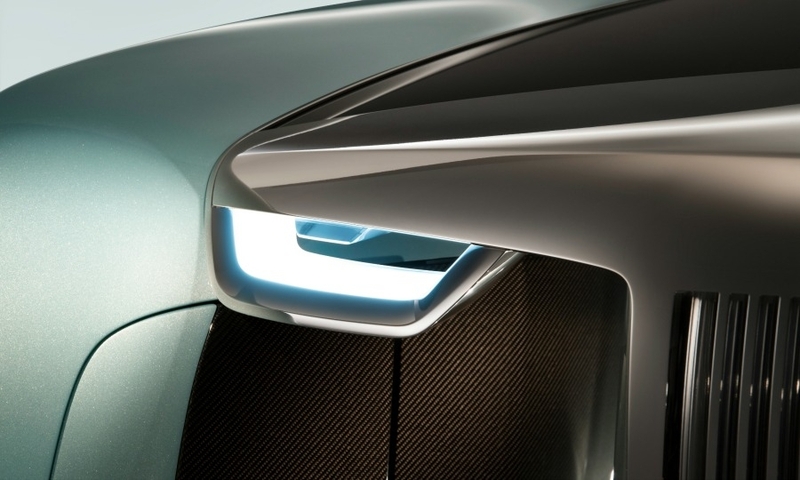 The company unveiled the BMW Vision Next 100 in Munich last March and a Mini concept on Thursday. 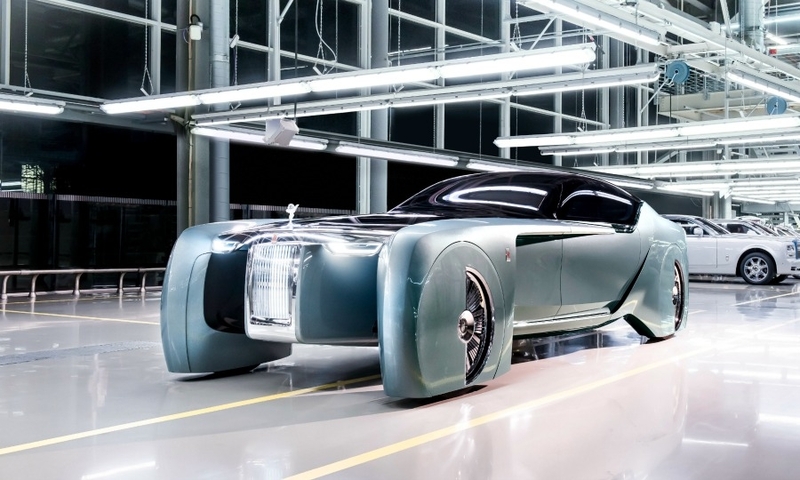 "With the Rolls-Royce Vision Next 100, we were mindful not to dwell on the past," Giles Taylor, Rolls-Royce's director of design, said in a statement about the car. "We wanted to be as innovative as possible and at the same time transcend the design history of the marque." Taylor said the key to the car is that it rejects the notion that future modes of transport will be anonymous, utilitarian, and bland. The concept looks like a futuristic chariot, with the historic Spirit of Ecstasy on the hood, the Pantheon grille, and a long Rolls hood. 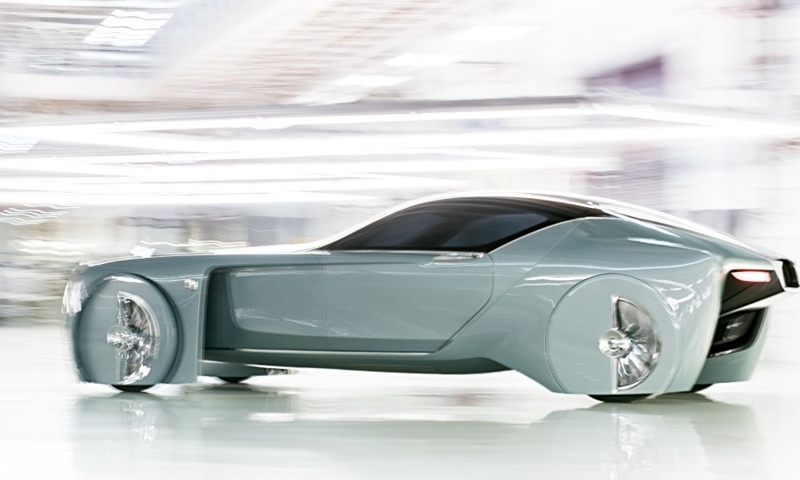 The car is encased with a glass fastback canopy roof and a "Crystal Water" lower surface exterior material that is made to make the car look as if it were floating. The car has the same dimensions as the modern Phantom Extended Wheelbase, and the oversize Spirit of Ecstasy hood ornament is based on ones from the 1920s-era Phantom. 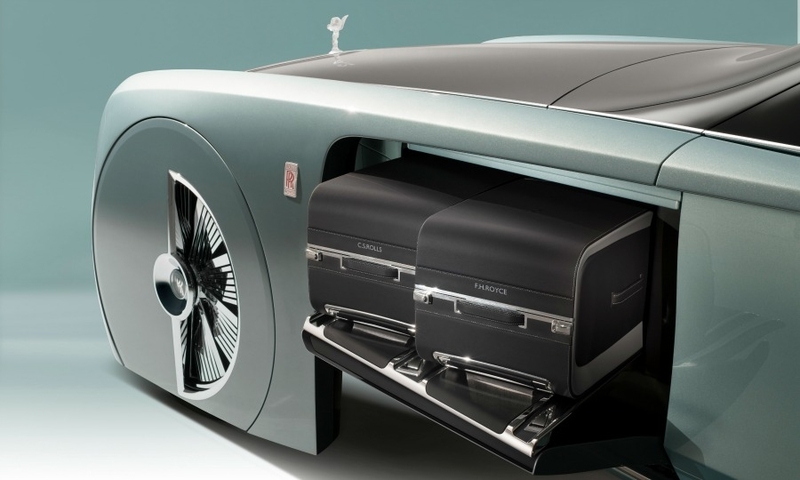 The luggage compartment in the rear comes with two bespoke "Grand Tourer" cases. 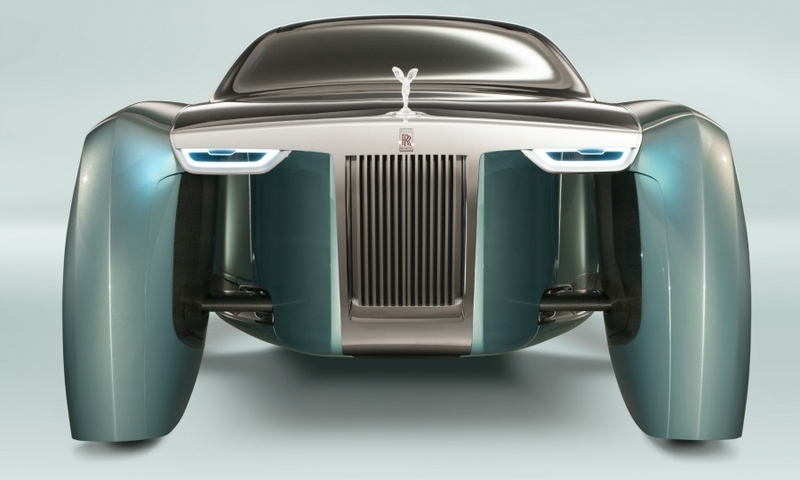 The Vision Next 100 will be powered by a zero-emissions powertrain placed on an "advanced suspension," though a spokesman for Rolls-Royce declined to elaborate on what form the engine will take. 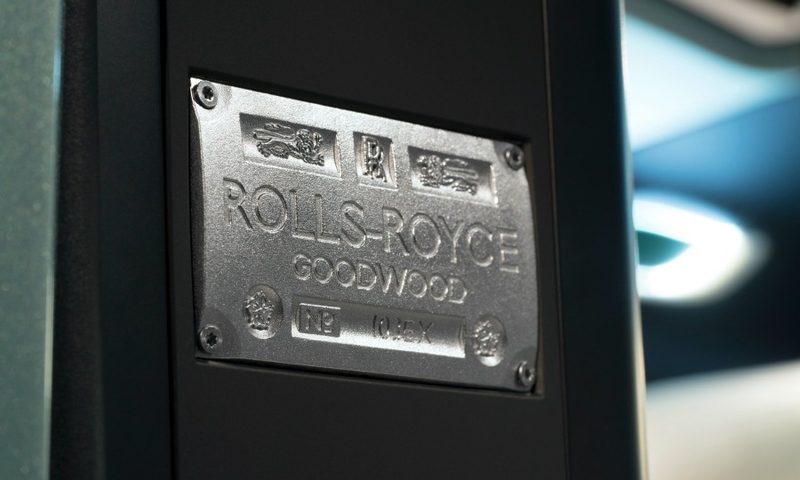 What Rolls did claim is that future luxury buyers will commission their own coach-built concepts: Every Rolls-Royce will be a "unique, bespoke masterpiece" that elicits an emotional attachment between car and owner, a statement from the brand said. Presumably that means if you buy a Rolls-Royce like this one, you can choose the furniture and trimmings inside yourself, if you don't like the sofa inside this one. 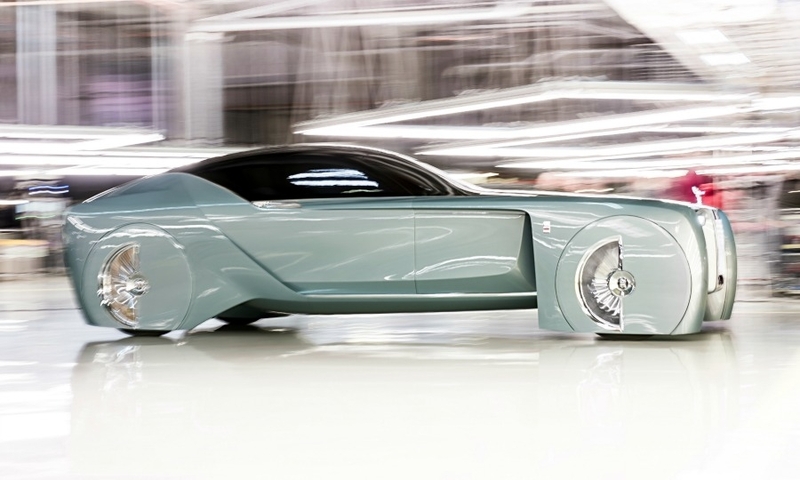 The inside of the Vision Next 100 is arranged like a lounge, with a clamshell canopy that encloses it with the silence of a prohibition-era bank bunker. And every lounge needs a small couch. This small one is wrapped in silk and backlit so it looks as though it floats in its place. The rest of the cabin is surrounded by Macassar wood and cosseted with a deep-pile ivory wool carpet. 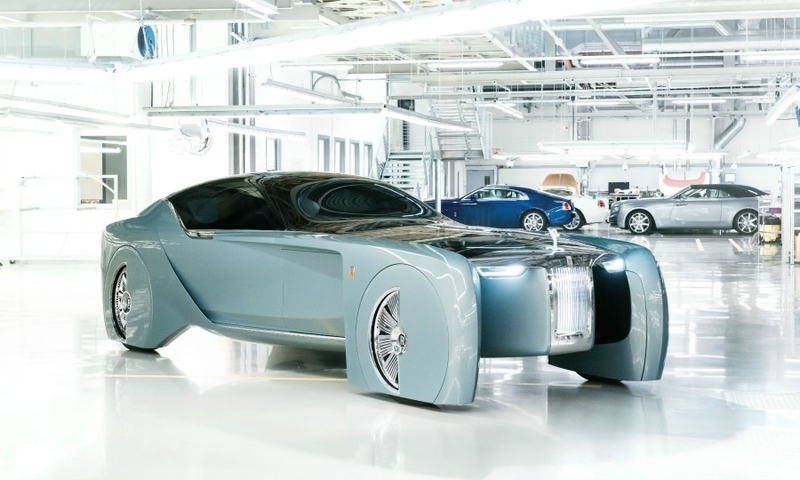 The car is controlled by an interactive program named "Eleanor," so named after the muse to the artist Charles Sykes, who sculpted the original Sprit of Ecstasy that became the Rolls-Royce icon more than 100 years ago. The program works as a chauffeur and assistant, like an automotive version of the iPhone's Siri program that reminds passengers (or guests, as Rolls likes to say) about appointments and tasks and makes suggestions to ease anticipated impediments to plans. "She brings the car around when her passengers are ready to travel and, whilst conveying her charges to their next destination, helpfully but discreetly makes suggestions and recommendations, briefing them ahead of their arrival so they are ready to perform," Rolls-Royce said. Of course, the key to ultimate luxury, according to Rolls-Royce, is the grand arrival, a phenomenon it spent three long paragraphs explaining in press notes as it relates to the Vision Next 100. 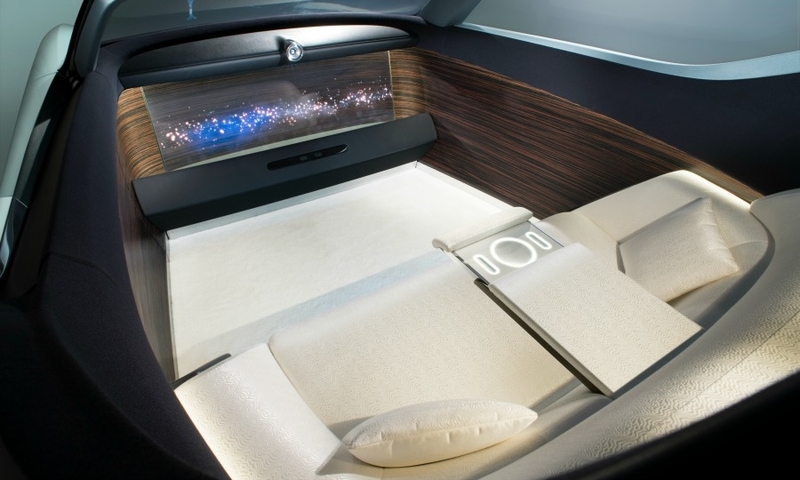 The car starts to glow from the grille to the wheels as the car pulls up, and the top glass canopy lifts automatically to allow occupants to fully stand up before the coach door sweeps open and they step out. A red light also shines from underneath the car to provide a red-carpet feel as occupants leave the vehicle. "Thus, as in Botticelli's 'The Birth of Venus', our guest is framed and ready to step gracefully into the limelight and greet [her] audience," the statement from Rolls said.